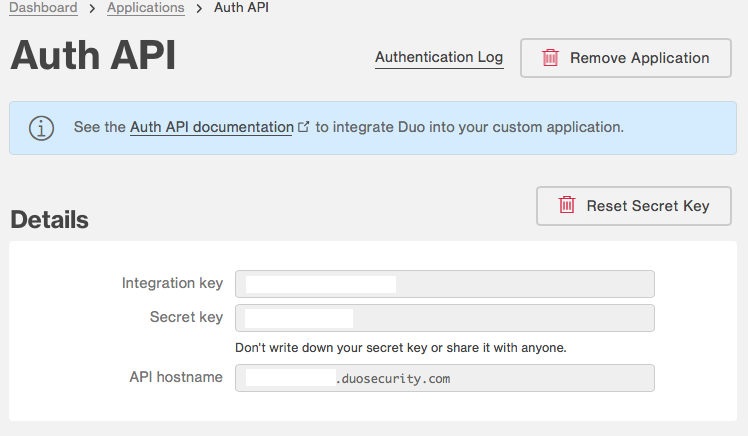 This plugin allows you to configure two factor auth with Duo Security. Just make a new application use the "Auth API" generic template item. You need to copy your host name, integration key, and secret key into the plugin in CrushFTP. Then its ready to use for processing logins. When enabled, all logins will be validated with it...however if you only want some logins, you can configure the plugin as a "on connect" event item for a group of users, or on the default user and then override that on some user configurations.